Amira Cardigan Free Knitting Pattern - Even though it's summer, cardigans are no luxury on breezy and rainy summer days. And if you're planning on making a cardigan, why not this pretty, elegant cardigan made of a beautiful outstanding yarn? With this Amira Cardigan you can conquer any type of weather all summer long! You can never have enough cardigans, especially with this changing weather. This beautiful long cardigan is made of Lang Yarns Amira. This voluminous yarn with a mesh structure mainly consists of cotton and is suitable for wearing all year long. The thread feels super light and soft and pieces made with this yarn are a delight to wear! Pick one of the beautiful soft shades and get started with this cute knitting pattern. This cardigan is ideal for wearing on top of a summer dress or a sturdy jeans with a basic shirt. Pattern I Seed Stitch: knitting needles no. 8 - right side: k1, p1. Wrong side: p1, k1, i.e. staggered with rs. Patroon II Horizontal Ridge Pattern: knitting needles no. 9 - over 3 rows: row 1 wrong side - 3: p. Row 4 - 6 k. Repeat rows 1 - 6. 10 x 10 cm = knitting needles no. 9, 12 sts. and 21 rows. Work edge sts. in pattern, when making up sew seams just half a stitch in from the edge. Fully fashioned decrease: right edge = 1 edge st., k10 or p 10 according to the pattern, k2tog. or p2tog. Left edge = according to pattern sl1, k1, psso or p2tog, k10 or p10, 1 edge st. Cast on with 8mm needles 54 / 58 / 64 / 68 sts. Knit in pattern I. After about 16 cm on an uneven row, work in pattern II, beginning with a Ws row. Armholes: At 56 / 55 / 54 / 52 cm from cast-on, measured hanging, at each end of the row cast off 2 sts. once, then decrease 1 st. 4x / 4x / 5x / 5x = 42 / 46 / 50 / 54 sts. Shoulders: At an armhole length of 20 / 21 / 22 / 24 cm at each end of the row, every other row cast off 4 sts. 3 times / 4 sts. once + 5 sts. twice / 5 sts. 3 times / 5 sts. twice + 6 sts. once. Neck: As you begin shoulder shaping also cast off the middle 16 / 16 / 18 / 20 sts., then on either side of neck cast off 1 st. once after 2 rows. Cast on with 8mm needles 34 / 36 / 38 / 42 sts. Knit in pattern I. After about 16cm on an uneven row, continue in pattern II, beginning with a WS row. Neck: At 50 cm work fully fashioned decrease 1 st. at the left edge, every 10th row/ 10th row/ 10th row/every 8th row 6 times/ 6 times/ 6 times/7 times. Work armholes at the right edge to match the back. Shoulder: At an armhole length of 20 / 21 / 22 / 24 cm at each end of row, every other row cast off 3 sts. twice + 4 sts. once/ 4 sts. 3 times / 4 sts. twice + 5 sts. once/ 4 sts. once + 5 sts. once. Continue working in pattern on the remaining 12 / 12 / 12 / 14 sts. for another 9 / 9,5 / 10 / 10,5 cm, then leave sts. Right FrontKnit to mirror the left front. Cast on with 8mm needles: 26 / 28 / 30 / 32 sts. Knit in pattern I. 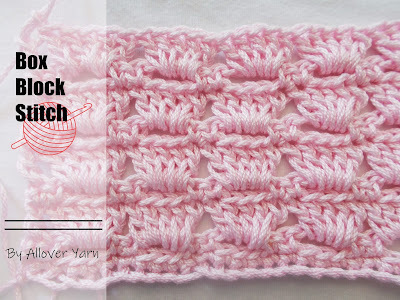 After about 12 cm on an uneven row, continue in pattern II, beginning with a WS row. For sleeve shaping, increase 1 st. at each end of row, alternately every 8th + 10th row 7 times = 40 / 42 / 44 / 46 sts. Sleeve cap: 46 cm from the cast-on, at each end of row: cast off 2 sts. once, then decrease 1 st. every other row 4 times/ 4 times/ 5 times/ 5 times, then decrease 1 st/ every 4th row 3 times and every other row again decrease 1 st. 3 times and cast off 2 sts. twice. When sleeve cap measures 15 / 15 / 16 / 16 cm in length cast off the remaining sts. loosely. Close seams. Join together the sts. left for the collar using Kitchener stitch and sew into the neckline. Set in sleeves.